This is one of my earliest design and i just gave it a little bit of amusement. I change the pieces and now this flower blooms.if you notice the flower has 3 small pieces in the center which prevents the flower to collapse apart. In request i can omit these and the player can also use it as a puzzle.Assembly needs tape or rubber band,taking care not to brake the sharp points For me, its more fun with the 3 small pieces so you can enjoy blooming the flower all times.ENJOY!!! 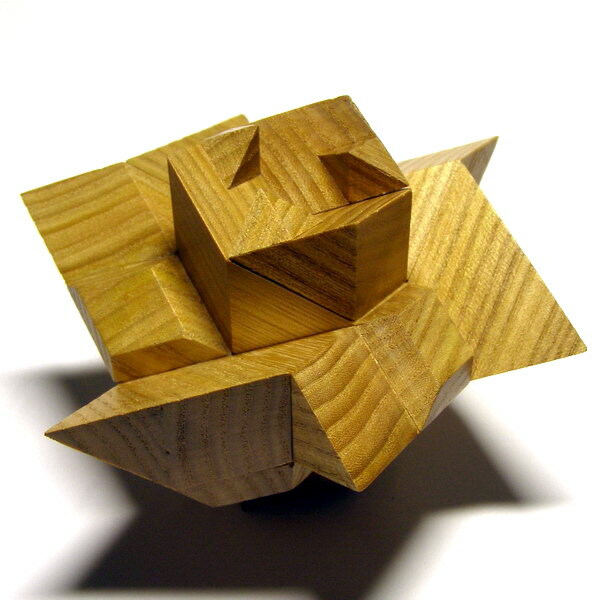 See more pics of the "flower bloom" puzzle.or Back to puzzle index.